Hi! We hope you are having a good Monday. We both had relaxing weekends and are getting back into the swing of busy weeks. We had the chance to catch up on the phone yesterday and were chatting about our favorite beauty products so we decided to share them with you! 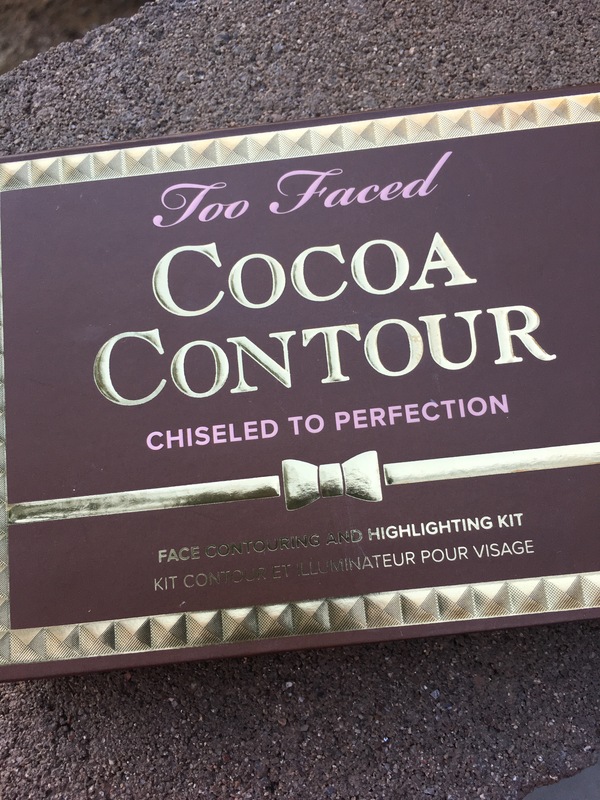 I just made a trip to Sephora to restock my makeup, and this contour and highlighting kit by Too Faced was on my must have list. Contouring is popular among celebrities, and I have always wanted to give it a try but have been timid to try it. 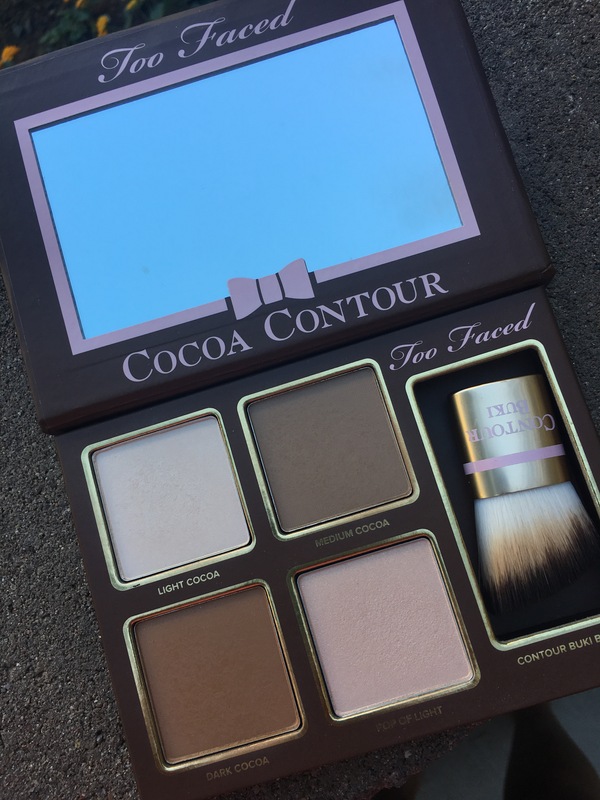 It turns out it is super easy with this kit that comes with four shades a contour brush as well! 2. 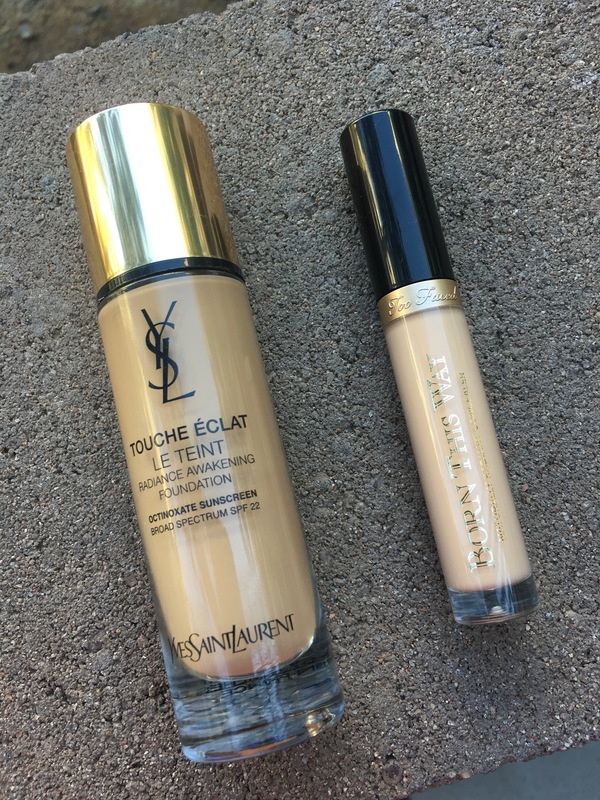 I restocked my concealer and foundation with radiance awakening foundation by Yves Saint Laurent and Born This Way concealer by Too Faced. Both go on feeling super light and keep my skin from looking too oily throughout the day. 3. 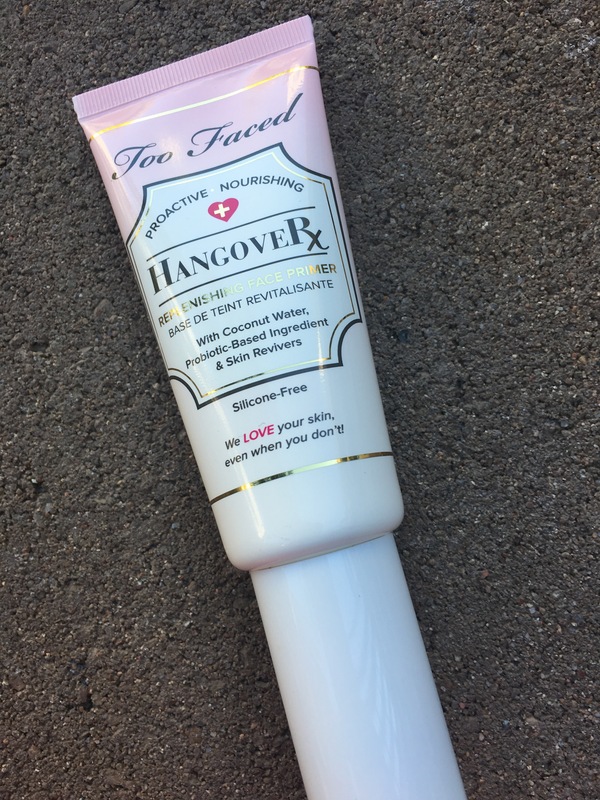 I was about to leave Sephora when the makeup artist showed me Hangover Rx by Too Faced. It’s a nourishing cream primer that makes your skin feel instantly hydrated. I use it under my eyes to keep my skin hydrated and awake. Since I have naturally greasy hair, I have been in search of the best dry shampoo and have tried multiple brands. 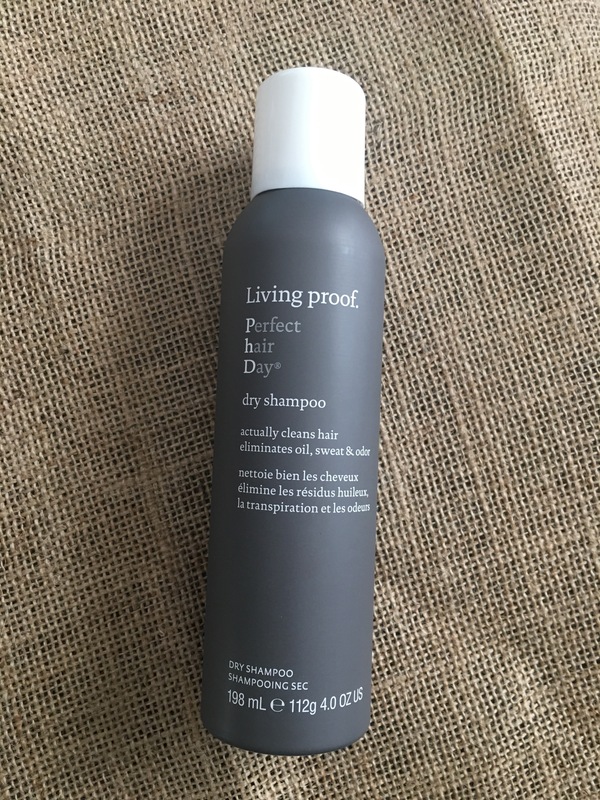 When I splurged a little bit and bought this Living Proof Perfect Hair Day dry shampoo, I never looked back! It gives my hair a fresh look that lasts longer than a few hours. I have been working on extending my shampoos as I usually have to wash my hair daily and this product definitely helps. I also like that it doesn’t leave a white residue on my hair and smells great! 2. Over the past couple years, I have been addicted to shellac nail polish and was getting my nails done in a salon every couple of weeks. Well I decided to give my nails (and bank account a break), but I need a polish that would last longer than a day especially working as a nurse. 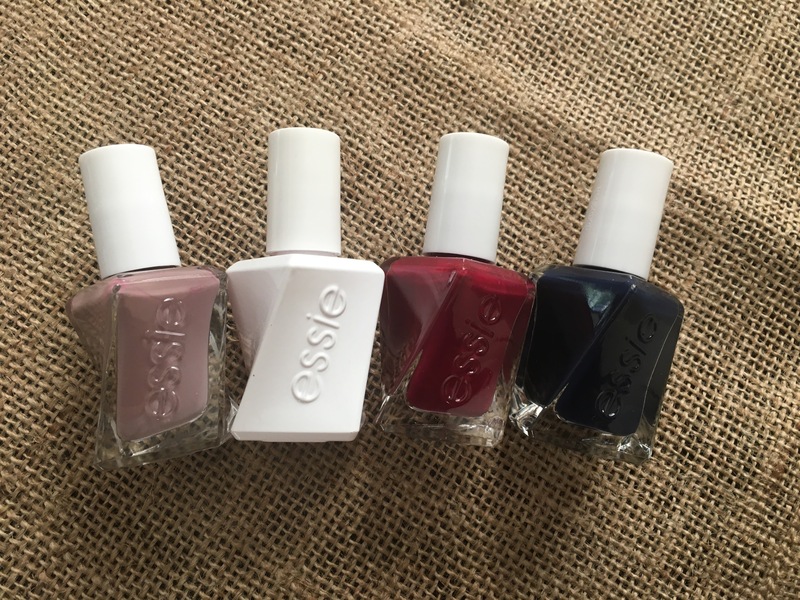 I love these Essie gel polishes! They have so many pretty colors and the polish has been lasting me 4-5 days even when working. I apply two coats of the color and then one coat of the top coat. They are a little pricier than normal polish, but worth it! 3. 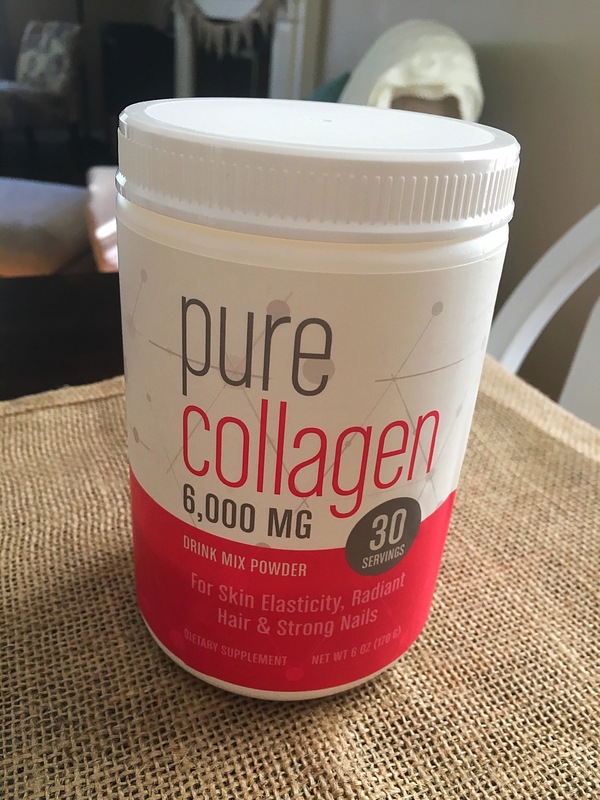 I first read about collagen on a blog I have been reading for years (shoutout to Peanut Butter Fingers!). Collagen is a protein-based powder that helps with skin elasticity as well as hair and nail health. I have been scooping a tablespoon into my coffee daily. After using it for a couple months, I haven noticed my hair and nails getting stronger as well as the cellulite on my legs becoming less visible. I buy mine at TJMaxx when they have it in stock, but they also have a variety of brands on Amazon. Let us know what your new favorite beauty products are! We love to hear from you! Have a great week beauties!